Eldred Sheet Metal is a Texas Gulf Coast custom metal fabrication job shop offering a range of services. 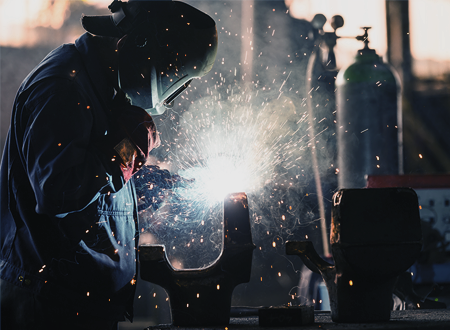 We have the ability to flame-cut, plasma-cut, or shear your parts to size from material sizes 16 ga up to 3" thick carbon steel, stainless steel, aluminum, and various alloys. 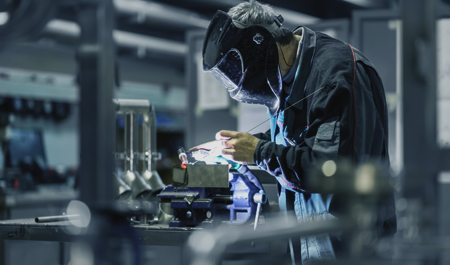 Eldred has the ability to take your parts and form, bend, punch, roll, and weld to your specifications, either fabricating your complete project or just the needed components right in our shop. Customers provide us with their fabrication drawings and sketches for accurate and dependable quotes. Eldred Sheet Metal will quote your project as labor only if you are willing to supply materials necessary for fabrication. If you prefer, Eldred can also provide material and labor for your fabrication project. Eldred has established vendor relationships that also allow us to provide competitive pricing on other processes such as machining, waterjet cutting, heat treating, and galvanizing, which allows fabrication of your project at one source saving our customers time and labor during the fabrication process. Eldred offers just-in-time fabrication, allowing you to meet your deadlines. When requesting your quote, let us know how soon you need your project completed. Eldred recently added a brand-new high-definition plasma table, 600-ton press brake, an additional 1/2" x 72" plate roll, and a 10-ton capacity overhead crane to better serve you.